My Mother is quite the “Fashionista” and loves everything fashion related including one of the fashion capitals of the world, Paris. 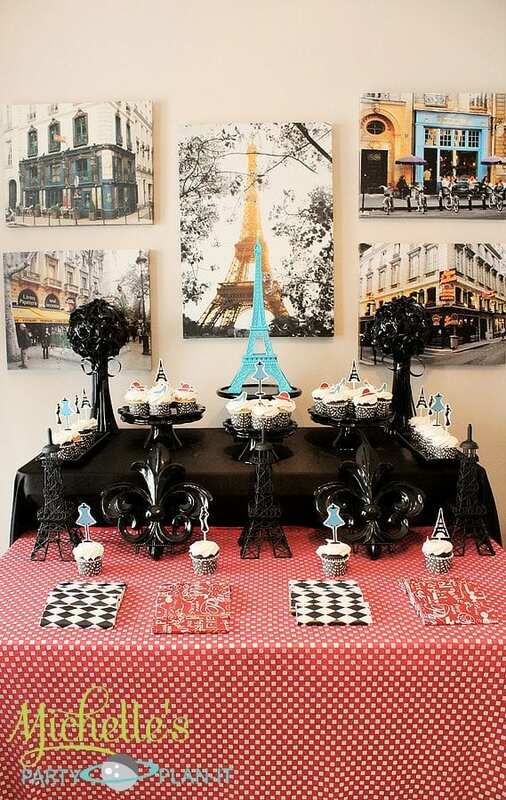 She recently asked that I help her with a Paris themed dessert table for a luncheon and fashion show she was planning for the ladies at church. Of course I wanted to help, how fun! I filled apothecary jars with coordinating candy and we served cupcakes, Madeleines and palmiers. I hand-cut several themed toppers for the cupcakes and placed them in coordinating nut cups. I also wrapped candy bars in matching stationary. My Mom spent hours upon hours decorating the rest of her home to give it a boutique ambiance not to mention the hours spent shopping for the dresses that were worn by the models. There was a total of 21 dress changes! The fashion show was a huge hit, so much that several ladies purchased the modeled dresses right on the spot. Mom has always loved to dress up and look chic. Unfortunately, I didn’t inherit her love of fancy dresses with matching shoes, purses and hats. Although I appreciate fashion, I’m most comfortable in a pair of jeans. 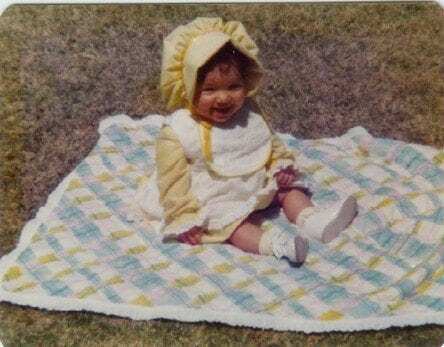 As you can see, when I was a child Mom made sure I was fashionable! The lovely ladies all had a great time and best of all, I spent quality “girlie” time with my Momma. I love how you threw in a little turquoise. Everything looks so pretty. Thank you for linking up to Party Time and we hope to see you again next week!